… for your enquiry about our Roundtable Events. All enquiries are reviewed regularly during business hours (9-5 Beijing Time) and we’ll get back to you as soon as possible. Got five minutes each month to stay up-to-date about the latest happenings in the higher education industry? 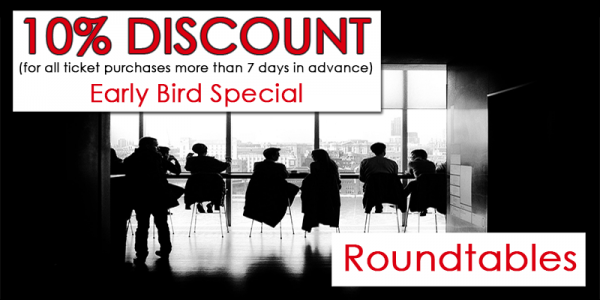 If you purchase a ticket for one of our Roundtables more than 7 days in advance, you will receive the Early Bird price, which constitutes a discount of 10% of the door price. Find out more about our Roundtables here.